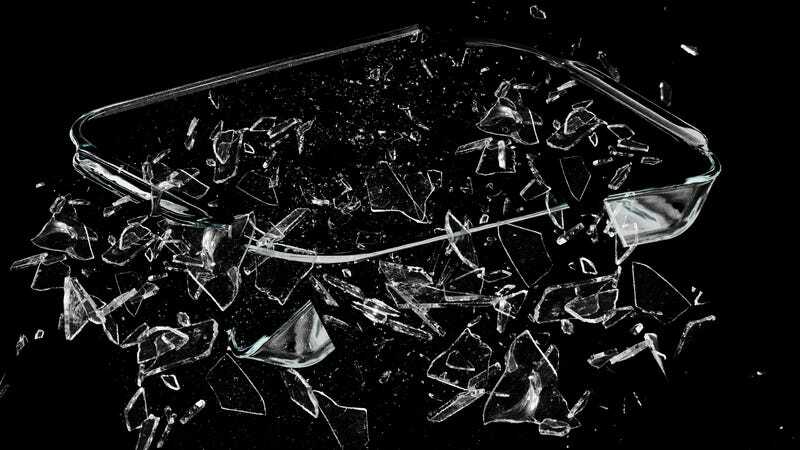 To understand the Pyrex controversy, you have to look at the reports of explosions within the context of the history of glass. Not the whole history of glass, of course, but rather a series of innovations that started with Otto Schott, a German scientist who invented a new type of glass in the late 1800s. This so-called borosilicate glass was not only heat resistant but also stood up to sudden temperature changes. Corning Glass Works developed its own recipe for borosilicate glass in 1908, and Corning employee Jesse Littleton discovered a new use for the material after his wife Bessie used a sawed-off borosilicate glass battery jar for baking. Seven years later, Pyrex cookware hit the American market. The company referred to its products as “fire-glass” in early ads. In practice, the difference between the performance of borosilicate glass and soda-lime glass is significant. When asked about the science behind the glass, Dr. John C. Mauro, a professor of engineering and materials science at Penn State, said in an email that the coefficient of thermal expansion (CTE) is the main parameter used to measure thermal shock resistance. A higher CTE number means the material is less resilient to thermal shock. For example, Corning Visions cookware, a descendent of Pyrex Flameware, is designed for stovetop use and has a CTE close to zero, Mauro explained. Borosilicate glass has a CTE of 3 or 4 parts per million per 1 Kelvin change (ppm/K). But soda-lime glass has a CTE of 9 to 9.5 ppm/K. Mauro knows his glass, too. Before taking his faculty position at Penn State, he spent nearly two decades working at Corning, where he was one of the inventors of Gorilla Glass. It’s worth remembering that Corning was the birthplace of Pyrex. Mauro has also co-authored academic papers on the glass chemistry of Pyrex, and he is the editor of the Journal of the American Ceramics Society. Based on his extensive knowledge of the material, Mauro actually makes the science behind soda-lime glass and heat sound even more damning. He went on to note how soda-lime glass is tempered to improve its strength. However, that tempering process also makes the interior of glass more stressed.